Existing Weaverville customer upgrades softener and iron filter. Customer decided now was the time to upgrade everything that we have been servicing the last couple of years. 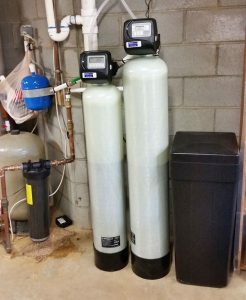 New water softener and iron filter, and they now have noticed a big difference with the new equipment. See This Truck On The Road ? We are always on the move to get our customers the best possible water.